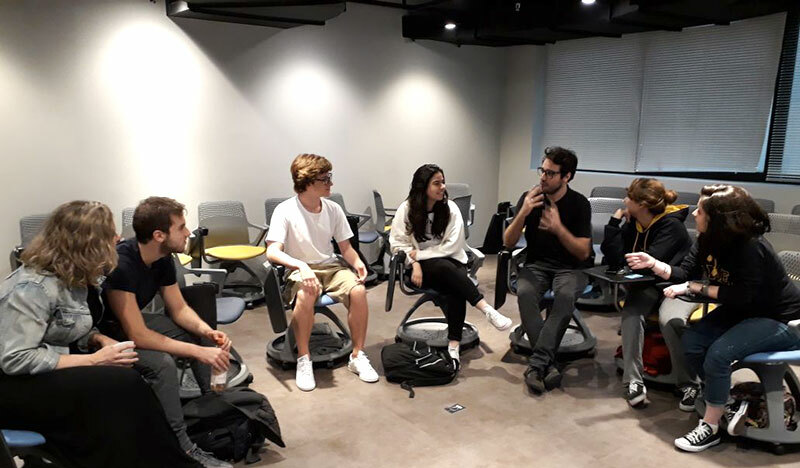 As part of an exploration into Brazilian universities, a group of Graded students visited Instituto Brasileiro de Mercado de Capitais (Ibmec) São Paulo on Thursday, March 8. It was a great opportunity to learn more about the institution and to talk to representatives, coordinators, and Ibmec students. Ibmec is one of the universities in Brazil that accepts International Baccalaureate (IB) diploma applications. Others include Fundação Instituto de Administração (FIA), Insper, Fundação Armando Álvares Penteado (FAAP), Escola Superior de Propaganda e Marketing (ESPM), and the economy and business colleges of Fundação Getúlio Vargas (FGV). Students have already visited FIA, Insper, and ESPM. We will visit FGV in April and will announce the date soon. For more information, contact Ms. Adriana Silveira, Counselor for Brazilian Universities at adriana.silveira@graded.br.